Cumbre del Sol Restaurant lies in the middle of the tangle of urbanisations which sprawl all over Cumbre mountain, near the Pepe supermarket. It is not easy to find but repays the effort. Because of its height the views are magnificent, and there is an outside terrace and pool for summertime. 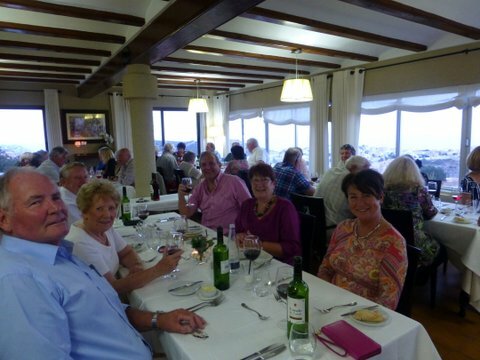 44 people from the Dining Out group occupied all the window seats on 6th May 2014 and enjoyed a very good meal and convivial evening. Starters were tapas, quite small, dainty and beautifully presented, but lots of them. 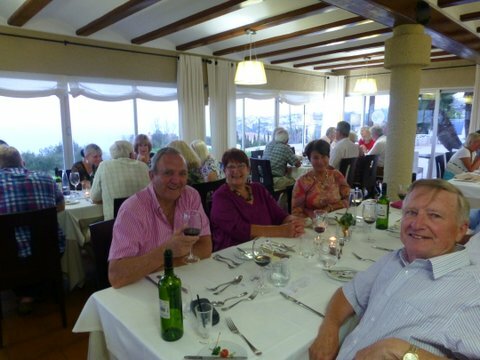 Main courses and desserts were all also good. 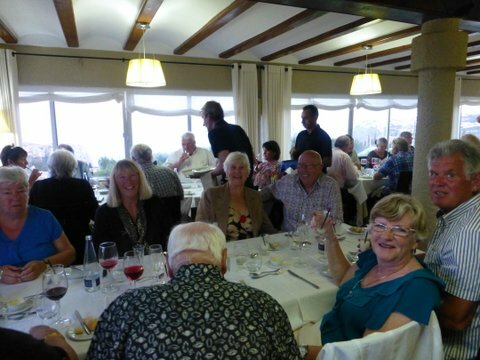 The only complaint seemed to be that some people were so full of starters they struggled to eat their main course! This is a long established restaurant and has been consistently good. I myself have been going there for about 26 years and am very happy to recommend it.